It all started 25 000 years ago when a chunk of land broke away from the Mozambique mainland to create what we today know as the Bazaruto Archipelago. These 5 idyllic islands range in size from a few kilometres to a few meters large and hold the key to your holistic relaxation and getting back to nature. Benguerra Island is the second largest island and one of the most sought-after beach holiday destinations in the world. Fly into Vilanculos and take a heavenly boat ride to the island. Be very surprised to find 2 world class lodges on the island, promoting wellness and water sports and an escape from daily routines. Azura Benguerra has recently added 2 brand new Royal Beach Villas to its accommodation treats, the ultimate in lavishness and size while &Beyond Benguerra Lodge has recently been upgraded and refurbished to compete with international luxury standards. One of the exciting new perks you will find in your boutique Villa at Azura is a new idea called Gym in a Bag. Spread out your yoga mat on your private deck at sunrise for a few sun salutations then stretch and use the small weights and resistant bands to warm up those muscles. Take a jog to the beach and dip into the ocean – your workout is complete! Your beach villa is one of 17 such luxury abodes packed with exciting modern facilities including tea and coffee stations, mini bars, double showers and sunny decks with fantastic ocean and beach views. The VIP Presidential Villa offers a 16m swimming pool so add a few lengths to your exercise routine and you won’t feel so bad about tucking into all the sumptuous cooking daily. Just a little way down the beach and around the corner lies &Beyond Benguerra Lodge, another surprise waiting for potential holidaymakers who love solitude and attention to detail. Recently rated as the new best hotel in Africa by Conde Nast Traveller magazine, this getaway offers 10 elegant villas, 2 cabins and 3-bedroomed chalet making it ideal for families, honeymoon couples and even business delegates. Catch some sun rays on beautiful white beaches while whales breach in the distance and don your snorkel to go and find dolphins in the break. Set off on a scuba diving expedition and find amazing sea creatures swimming all around you in untouched coral reefs. Inland lakes are covered with pink flamingos and pelicans and horses take you fast up the beach or along wild trails to the crocodiles at the lakes. The Bazaruto Archipelago is one of the only places to see Dugongs in the world – large placid grey creatures which glide along the seabeds grazing seagrasses. Divers find new dive sites brimming with corals and seaweeds and awesome marine wildlife while whales pass by in season to have their babies. Benguerra Island promises you the time of your life in a very peaceful destination with enough luxury to make you smile. Revel in the pristine beaches and excellent fishing opportunities, the kite surfing, horse riding and skiing. Set in a national park, the island consists of a patchwork of habitats, including forests, wetlands and three freshwater lakes inhabited by crocodiles. To get there, take the SA Airlink and LAM direct flights from Johannesburg to Vilanculos, while LAM also runs flights between Maputo and Vilanculos. This is usually followed by a short helicopter transfer to the lodge of your choice. Book your next holiday to the Bazaruto Archipelago for several extraordinary days of barefoot bliss on powdery sands at Benguerra Lodge. Tropical weather, sun-drenched beaches, warm turquoise sea and breathtaking scenery, what more can one ask for in an island paradise? The second largest of the five atolls in the Archipelago, Benguerra Island welcomes discerning holidaymakers to a serene, yet sensational holiday experience filled with adventure watersports and land based activities. Host to only two small luxury beach resorts, guests are guaranteed an exclusive stay with access to high-end facilities. As with all Bazaruto accommodation, Benguerra Lodge provides guests with a heavenly place from which to escape the pressures of everyday life, far removed from the crowds found in popular destinations such as Mauritius and Zanzibar. With only a few villas available at this lodge, guests are assured of personalised service and an intimate stay they cannot find in much bigger establishments. Each villa is elegantly decorated with nuances of Portuguese and African designs. There are plenty of things to do on the island and the surrounding area, and it’s entirely up to the guest to decide on how best to utilise their time for optimum gratification. Some choose to lounge on the sun-kissed powdery sands at Benguerra Lodge, soaking up the soporific ambience of island life as they absorb the tropical rays. What could be more blissful than an indulgent spa massage after a day of adventure in the surf? Benguerra Island is located within the Bazaruto Marine National Park, which means the vast waters surrounding it are protected, resulting in a rich biodiversity of marine life and coral reefs that make diving and snorkelling a phenomenal experience. You too can enjoy barefoot bliss on powdery sands at Benguerra Lodge when you arrange your vacation with the experts in travelling Mozambique. We are the leading name in selling holiday packages to this beautiful country and offer excellent rates on all holiday accommodation across the country. Our team of friendly consultants is more than happy to help tailor unique itineraries to suit all your requirements. Contact us now! 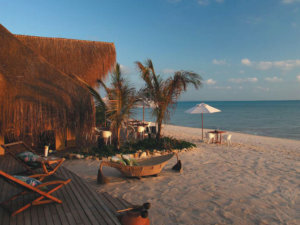 Benguerra Lodge on Benguerra Island in the Bazaruto Archipelago is among the finest Mozambique holiday accommodation. The island on which the lodge is located has an amazing topography with inland freshwater lakes, wetlands, forests and sublime golden sandy beaches. Visitors can enjoy a host of activities both on land and on the water including the famous Mozambican Dhow Safari Island Hopping. This is perhaps the best way to explore the marine national park as you get a chance to go from one island to the next on board a motorised dhow. Mozambican dhow safari island hopping is full of adventure and fun, allowing you to enjoy diving and snorkelling off your support vessel. You can also throw in kayaking and fishing in the mix to achieve the most out of your holiday. These safaris are conducted by a pro guide and skipper plus a crew who will be looking after you during this expedition. You can enjoy meals prepared on board the dhow or drop anchor on a deserted island where your chef will conjure up fresh seafood dishes cooked over an open fire. Back at Benguerra Lodge, barefoot luxury beckons in the lodge’s stylishly furnished rooms that are equipped with all the mod cons for enhanced comfort. You are guaranteed a memorable stay where you are treated to top class service by an attentive staff who will leave no stone unturned in ensuring you lack for nothing. The lodge has splendid facilities and inviting communal areas which include a massage sala where guests can enjoy pampering massages and beauty treatments. Book your holiday with the Mozambique Travel team for lower rates on your holiday accommodation. As the leading name in selling holiday packages to Mozambique, we guarantee excellent service and unbeaten quotes on all beach resorts, lodges and hotels. Contact us today and our expert advisers will help you tailor a package according to your exact requirements. First, you decide that a Mozambique island holiday is good enough for you, then you read TripAdvisor where you find out that Benguerra Lodge, now called andBeyondBenguerra is the number one lodge on Benguerra Island. You also discover that this Bazaruto accommodation offers travellers like you irresistible packages. Mozambique Travel can give you all the expert advice you need for your holiday in this Bazaruto Archipelago beach resort because we are the Mozambique specialists. Make sure you read the TripAdvisor reviews about this luxury lodge on Benguerra Island. The main attraction at andBeyondBenguerra as a speciality lodge in Mozambique is its hands-on service and world class facilities. The lodge is also committed to community upliftment and environmental conservation and staff work closely with the local community and do their best to conserve the marine wildlife around them. TripAdvisor comments mention the 13 chalets, built for comfort in a rustic style, right on the beach where the warm clear ocean washes gently in and out. Dine out under the stars in romantic settings at night and take beach picnics with you when you go diving or snorkelling or fly fishing. Get expert advice about these activities when you contact the Mozambique specialists. John C from Cape Town raved about the lodge which he visited during winter because the staff went out of their way to ensure he and his family had a fabulous time. “We thought that Benguerra Island is the most untouched destination we have ever seen! Seeing whales up close was unforgettable and snorkelling over the reefs revealed to us such a wealth of marine life we definitely need to come again,” he said. You can also be one happy customer if you book the Benguerra Lodge 2015 Long Stay Special deal that ends on 30 June this year. Stay five nights or seven nights, starting at less than USD 2 500 per person sharing and you will get accommodation, meals, most drinks and all transfers to and from the lodge airstrip. Also included in this amazing special is sea kayaking, a sunset dhow cruise, laundry and emergency medical evacuation insurance plus VAT. We love the décor at this Benguerra Island lodge which blends elegance and rustic themes so that you feel as if you are in a luxury hotel somewhere, not on a quiet desert island. We also love the beach bar where guests meet regularly for sundowners and to chat about their days’ activities. A must do is the Land Rover tour of the island to meet some local people! Book your Bazaruto Archipelago accommodation with your Mozambique travel experts now. “This unbeatable location is way beyond any expectations and we remain in awe of our holiday spent there recently. We fell in love with the palm trees, seeing local fishermen go about their daily fishing, the peace of being in nature – thank you,” said Gill Z from Tanzania. One of the greatest ways to spend your holiday in Mozambique is to adventure out on a horse safari at Benguerra Island. One of the most unforgettable activities you can enjoy in the Bazaruto Archipelago happens to be horse riding! Yes, sure, water sports are fun and popular in warm azure oceans but there is nothing quite like trotting a healthy horse up a deserted beach with the wind in your hair! Choose one of the nine horses at Benguerra Lodge for your dreamy horse ride into the dune forests. Trot inland to see the huge red dunes and to find flamingos stalking the wetlands in their unique pinkness. Horse riding safari packages are a big deal! We can organise one for you and all you have to do is get to Mozambique. Imagine spending a week on Benguerra Island, riding horses every day, grooming these gracious animals and feeding them? You will fall in love with your mount and with the island scenery around you. The fine accommodation at Benguerra Lodge has been made for families. Luxury beach villas allow the natural environment in and your relaxation is what counts! 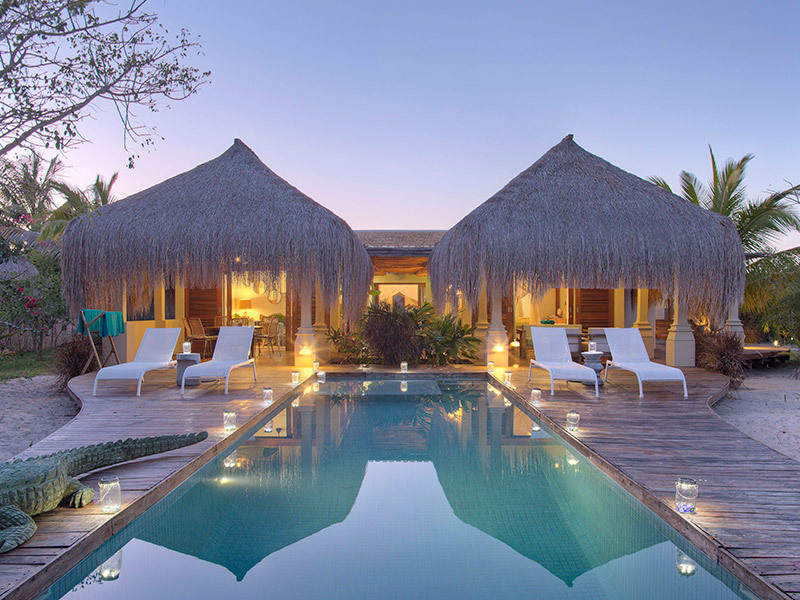 Choose a stone and thatch casita with a private plunge pool as your home for a few days. You will return to your suite after each outride on your horse, to rest and revitalise your body and soul. We love the horse ride on Benguerra Island to see the great lakes inland. Your horse will take you past local villages in single file so pack your camera to capture the people on film. You can also snap away at the Eagles, herons, harriers, rollers, kingfishers and pelicans on the island in this watery habitat. When you get to the river, dismount and enjoy a fulfilling lunch. Your horse will eat and drink while you canoe up the river with your guide, spotting amazing island creatures and plants. Experienced riders may want to do the three-hour island exploration ride on their chosen horse. This ride is partly on your horse and partly in the ocean where you will snorkel over beautiful coral reefs looking out for the rare Dugong and other colourful sea life. Other fantastic accommodation we can recommend is the villas at Azura Boutique Retreats Benguerra which are only a few steps from the shore. Enjoy those mod cons that are there to make your life easier and more relaxing – your private splash pool, mini bar, coffee making facilities and your own private butler to take care of all your needs! 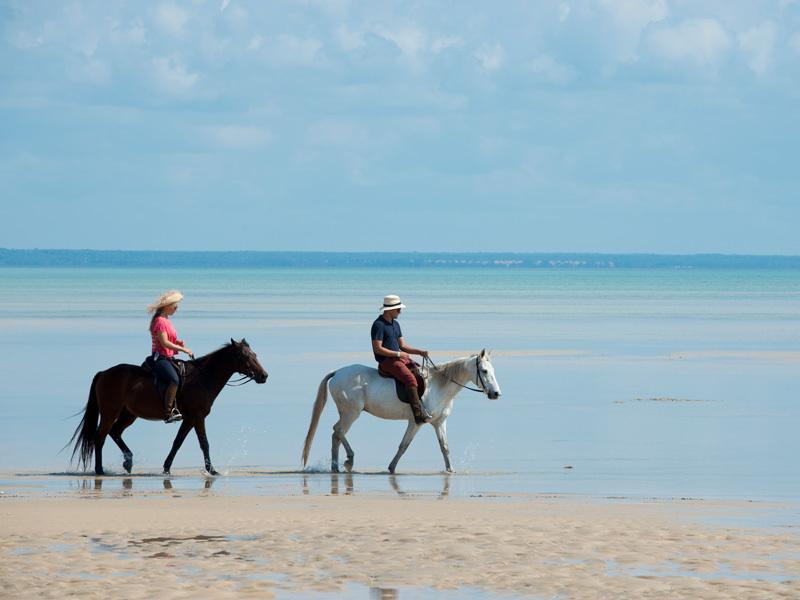 Horse riders are welcome on Benguerra Island! Click here to view your perfect horse and book your perfect safari. Mozambique is a hidden jewel in the crown of African destinations; this gloriously friendly country occupies a prime spot on the East coast of the continent, with amazing white sand beaches and the clear blue waters of the Indian Ocean as its shoreline. Furthermore, it also boasts two beautiful chains of islands – the Bazaruto and Quirimbas Archipelagos – each of which offers exotic and tranquil resorts with superb luxury accommodation. As the acknowledged experts in Mozambique travel, we have been arranging packages to the islands for 20 years, and nobody can get you a better deal than we can. Benguerra Island is the second largest of the Bazaruto Archipelago and is one of the most charming of all the islands off Mozambique. With wonderful resorts in some of the most beautiful spots on the island, you have a choice of traditional beach holidays with pretty white sand beaches to relax on. Accommodation comes in the form of a number of stunning lodges – Benguerra Lodge, for example, was the very fist on the island and offer excellent accommodation and wonderful levels of hospitality – and you cannot fail to enjoy your time on this genuinely tranquil and peaceful island. 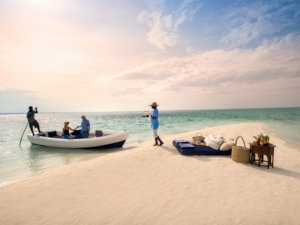 While growing fast in popularity as a holiday destination Mozambique has yet to be spoilt by the crowds you will experience in similarly priced resorts in Zanzibar or Mauritius, and as we have excellent relationships with the resort owners we can offer the very best prices on the best resorts. In fact, you may save as much as 15% on the cover price by booking with us, and we endeavour to find our clients the best deal and the right package for their requirements and expectations. If you want a private and secluded holiday or a more lively action packed break we can find it for you. With our team of expert travel consultants waiting to help you create the ideal package for an idyllic Benguerra Island holiday, you get the benefit of firsthand knowledge of the finest resorts. We can arrange a full package that, if you wish, includes a beach and bush deal so you experience the glory of the beach and the spectacle of a safari on the mainland, or you can choose to spend all your time on Benguerra Island. Why not get in touch right now, and one of our friendly and helpful team will call you back to book that dream holiday you know you deserve? The Lodge at Benguerra Island is modern, relaxed and a vision of rustic chic – the decor, the food, the staff and service are all reminiscent of an era when life was less stressful and the environment mattered to people. Situated on the beautiful Benguerra Island, Benguerra Lodge is a place to pamper and unwind, marvelling at the scenery and making promises to try new water sports. The island is the second biggest in the Bazaruto Archipelago and offers the best scuba diving and snorkelling in the world! On land, take a drive to see the crocodiles lurking in the freshwater lakes and climb huge sand dunes. Couples can look forward to a romantic wedding at this lodge at Benguerra Island in Mozambique, one of Africa’s most stunning countries. Boasting unrivalled scenery, secluded beaches and romantic accommodation, your Benguerra Lodge wedding memories are sure to last forever. Read more about Benguerra Lodge honeymoons here. Naturally then, nothing comes close to a romantic honeymoon on Benguerra Island at this deluxe lodge – experience one of the most blissfully perfect destinations in Africa with an enticing Benguerra Lodge honeymoon package. What could be more romantic than endless white sandy beaches, warm clear water and spectacular sunrises from the ocean into clear blue skies? Visitors to this lodge on Benguerra Island can indulge in private dinners around the island or on their decks; the lodge is so remote and so private that couples, corporate business people and families like to escape to this island for a real break from daily routines. You can also learn to dive at the idyllic Benguerra Lodge – home to the rare grey dugong and mystical whale sharks, turtles and dolphins. Take a bit of passion, add some kindness and a sprinkle of dedication and what you have is a recipe for something strong. Activities at Benguerra Lodge are presided over by people who love what they do. If you, as the privileged guest, want to go horse riding, fishing or diving, you know that you are in good hands. When you go fishing, you will be asked to catch and release, to conserve these species for generations to come. So, a holiday on Benguerra Island is all about the fine balance between the needs of the natural environment and the local people. Book your villa now with one of our consultants. Mozambique is a country rich with culture and tradition, as well as some of the best beaches in the world. 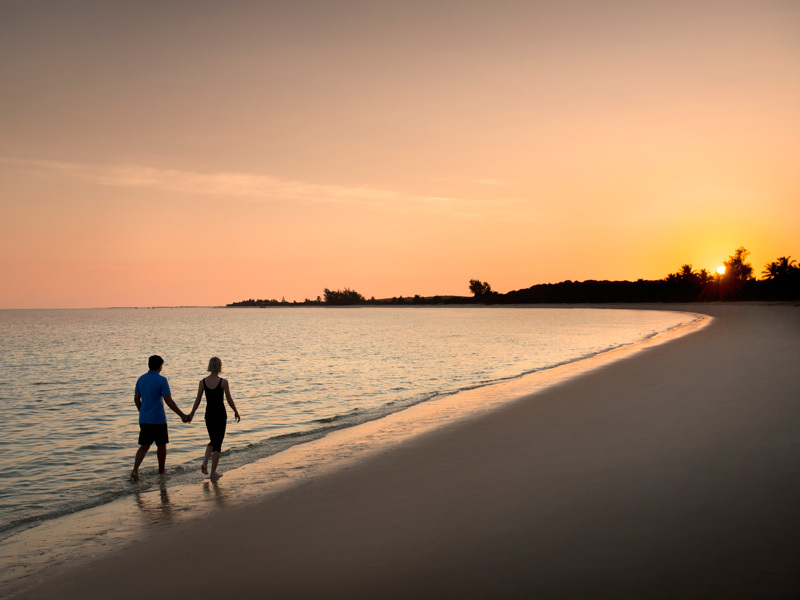 These are just a few of the reasons why honeymoon destinations in Mozambique are ideal for your romantic getaway as a newly married couple. If you’re struggling to decide on a location, why not check out our favorite spots for a Mozambique honeymoon? We’re confident you’ll be happy with any of the choices on our list! And remember most of our honeymoon packages for 2019 have great discounts of up to 50% off for the bride and many more extras and surprises. 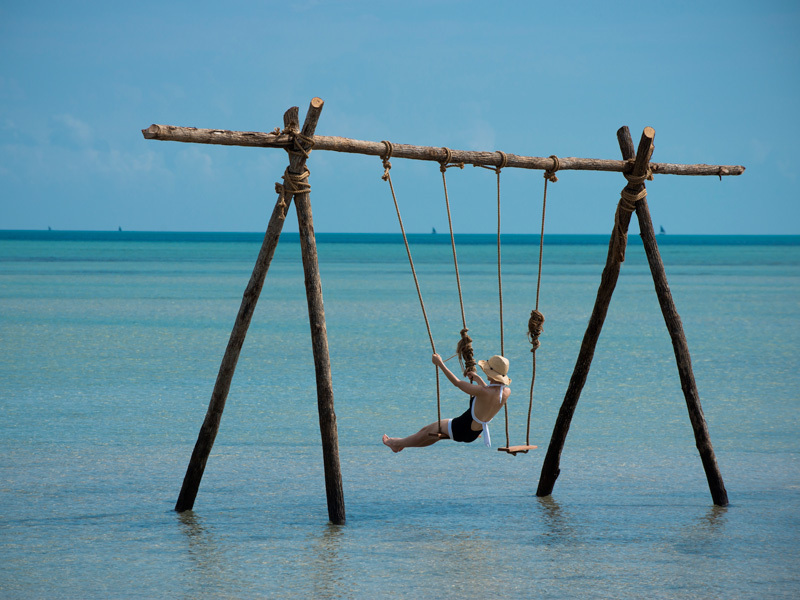 Mozambique’s Benguerra Island has the perfect combination of adventure, romance and relaxation. The team at &Beyond Benguerra Island can tailor a bespoke honeymoon package that caters to your every whim, and there is an incredible 50 % off for the bride. The islands of the Bazaruto Archipelago are some of the most beautiful in the world, and Benguerra Lodge one only three five star lodges in the region. The accommodation is both modern but still tasteful in the beach villas on Benguerra. With a private butler you will be cared for very well and all your needs taken care of. From romantic beach dinners to breakfast in bed! – it can all be arranged. Whether you want to explore and dive the amazing coral reefs or just stroll along the beach, this is the perfect choice for a honeymoon package to sunny Mozambique. You can also combine Benguerra Lodge with an incredible big five safari in Kruger National Park with ease. We can tailor make a bespoke bush and beach honeymoon holiday with ease for you. Direct flights tie in nicely from Kruger to Vilanculos and then return back to Johannesburg. Spot the Big Five animals at the Ngala Private Game Reserve and then jest off to the islands of Bazaruto in style. Benguerra Island is packed full of exciting experiences you’ll remember for years to come. Wedded couples looking to get away from it all can relax in total seclusion at Azura Quilalea – a private island that has just nine villas. Each one boasts spectacular sea views, a king-sized bed and even your own butler. There are four sandy white beaches on Quilalea Private Island, as well as a stunning reef located just off the main beach for keen snorkelers. Azura Quilalea epitomizes style and chic decor and very personlaised service. Each one of the villas on Quilalea are serviced by their very own butler so imagine the kind of attention you will receive. All evening meals are set in a different location every night. From the sandy beaches of the island to under huge old baobabs. For the perfect end to your day, enjoy a candlelit dinner under the stars. Another of our firm favorites is Bahia Mar Club on the beaches of Vilanculos. Modern and contemporary this neat little outfit is fast becoming very popular. Service is slick and rooms a few steps away from the beach. There is a complementary bottle of bubbly as well as massages and seafood platters thrown in. 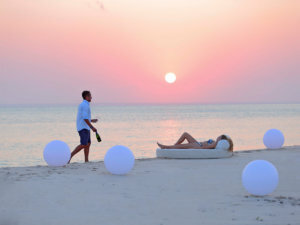 This is an incredible value for money honeymoon package to one of Mozambique’s best beach resorts. Flights to Vilanculos Mozambique from South Africa can easily be arranged for your holiday with our team. Azura Retreats Benguerra has an awesome reputation for honeymoons in Mozambique for good reason. The beachfront villas all have their own private plunge pool and there is a great choice of accommodation options at Azura. From the entry level Infinty Pool Villas to utmost luxury and privacy in Villa Amizade! There is a 40% discount offer for the bride and a whole lot of special surprises in store for you. You have to seriously consider Azura Benguerra Island as a honeymoon choice. Flying in by helicopter over the Bazaruto islands will take your breath away. So get in touch with us now for that dream honeymoon to Benguerra. If you are thinking of honeymooning in Mozambique then this accommodation in the Santa maria Peninsula is a great choice. 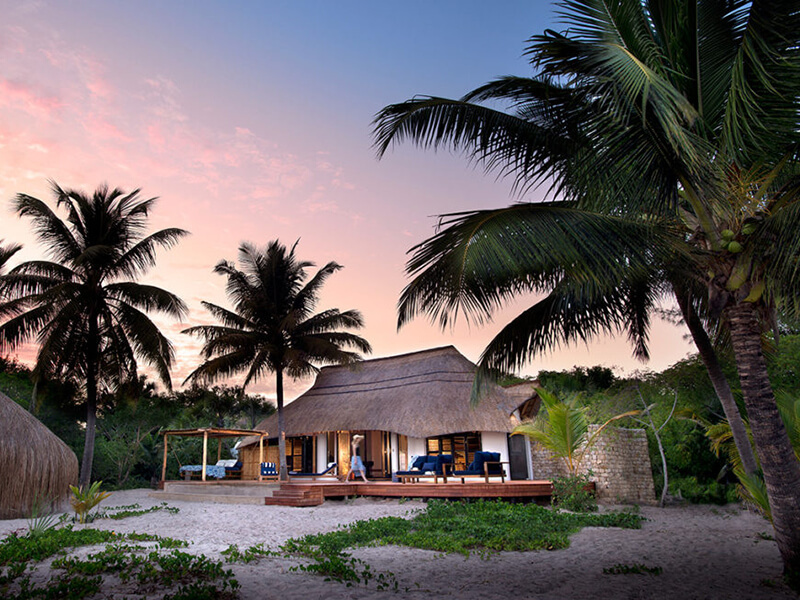 Machangulo Beach Lodge Mozambique ticks all the boxes and best of all is easy to get to. An hour boat transfer from Maputo makes this lodge super accessible and avoids the usual expensive light air transfers to these idyllic beach lodges. Machangulo offers great accommodation in beach villas and has a great honeymoon package especially for South Africans. Go there and find out why Machangulo Beach Lodge is one of our most recommended beach resorts in Mozambique! And if you are finding it hard which of these honeymoons to chose from? 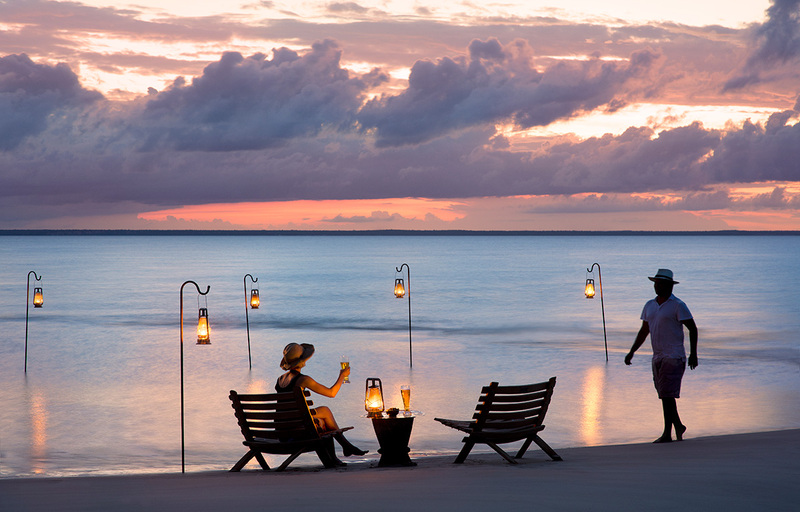 Our expert consultants are standing by ready to help you plan your Mozambique honeymoon in style. We have been booking honeymoons here for over twenty years! No one knows the country better than we do so get in touch with us today.